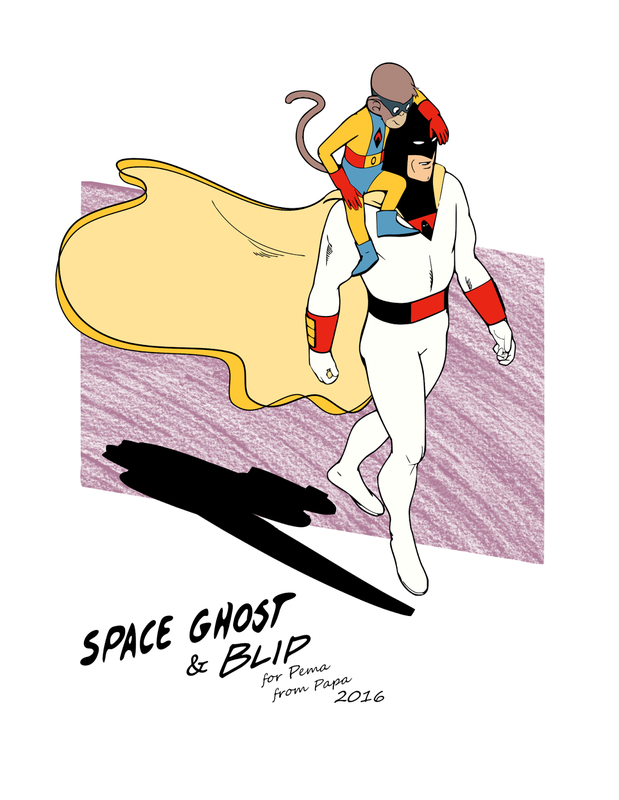 My three year old is big into Space Ghost at the moment, to the point where she calls herself Blip, and me Space Ghost, in a perpetual twilight of make believe. I've been drawing pages of a very different style of comic every day for her, but today she had a special request. SO good, so love, so proud!